Although Star Wars: The Last Jedi has wrapped filming, star Daisy Ridley is keeping herself busy. 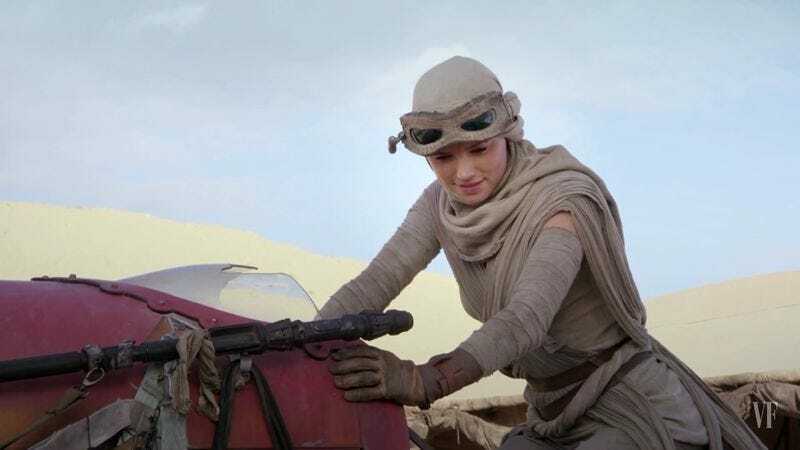 Variety reports that Ridley will be following figures like Jyn Erso and “many Bothans” into the world of cinematic espionage, having been cast as the lead in World War II-era biopic A Woman Of No Importance. Ridley will play Virginia Hall, a physically disabled American spy who earned the designation “the most dangerous of all Allied spies” from the Nazi Gestapo. No Importance is just the latest project to bridge the gap in Ridley’s schedule between The Last Jedi and Star Wars: Episode IX. She’s currently filming on Kenneth Branagh’s Murder On The Orient Express, has already finished a Peter Rabbit movie with James Corden, and is attached to a new film, Kolma, from her Force Awakens director J.J. Abrams.